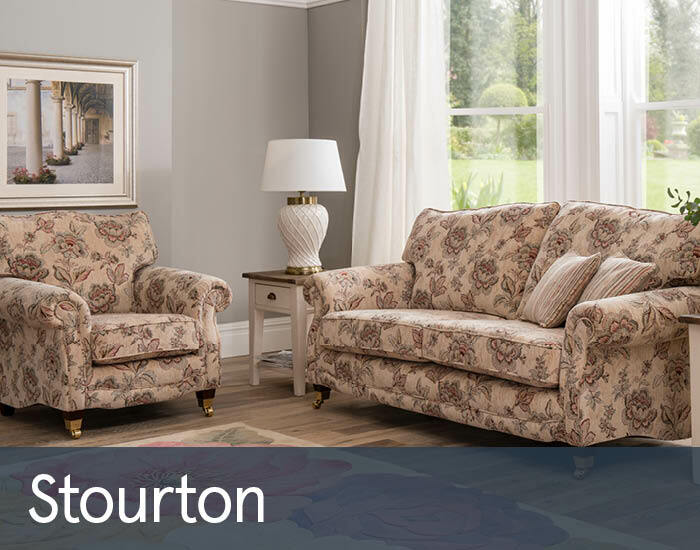 A classically designed range of furniture with a traditional flair adding a sense of style and elegance, the Stourton range is a perfect addition to any home. With its classically scrolled arms with piped detailing brings the traditional and classical style to life, adding character to your living space. Furthermore, upholstered in quality fabrics, the Stourton is available in a wide range of coordinating fabrics and colours. Combined with the complimentary feather filled scatter cushions in coordinating colours and patterns to complete each piece. With seat cushions filled with foam for supportive comfort, the fibre filled back cushions provide the utmost in comfort.